QOTW: Are you buying a new TV for the World Cup? The 2018 FIFA World Cup kicks off in Russia on June 14, and with just over a month to go, TV manufacturers and retailers are gearing up for what is historically a lucrative period for sales. How lucrative are we speaking? Well, in 2014, John Lewis saw a massive 47 per cent surge in TV sales in the final week of May, and with a four-year wait between World Cup finals, it is no surprise to find that all the big-name manufacturers are rushing to get new models on store shelves in time for the celebratory event. 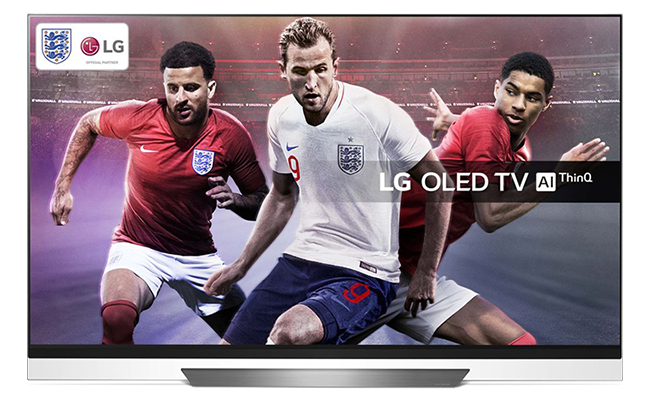 This year's tournament will be the first to be filmed in 4K HDR (though the quality you receive will depend on your local broadcaster), and despite England limping out at the group stage four years ago, British retailers are launching a variety of deals that include cashback, free football shirts and the chance to win your new TV for free. An opportune moment to convince the other half that you need a supersized OLED? Now's as good a time as any, so let's canvas some opinion by asking: are you planning on buying a new TV for the World Cup? Let us know using the comments facility below. I could see why somebody would buy a new TV that needs replacing to coincide with a major event, but I can never understand people that already have a good TV but splash out for a bigger one just to watch the footy, why not just get some tickets to go and see a game or go down the pub? In short my answer is no and never will! Nope. TVs are like fridges, they get replaced when they break. I didn't even realise this was a World Cup year. World Cup?? what do you drink with it?? Erm, no. I'd totally forgotten that it was even happening… A ‘touch’ redundant this week Hexus.